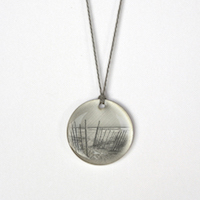 Simple jewelry made using our unique process of printing detailed images directly onto silver. The result is simple, yet rich in detail at a great price point. Easily adaptable for landmarks, logos, and custom projects. 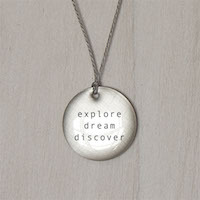 Offering hundreds of images and words, beautifully printed in a sterling silver setting. We invented and perfected this process of bringing evocative imagery and meaningful words into our line of handmade jewelry. All handmade in our solar powered Santa Fe, NM studio. 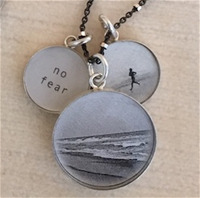 Happy to work with you on custom jewelry featuring your landmarks, text or graphics. 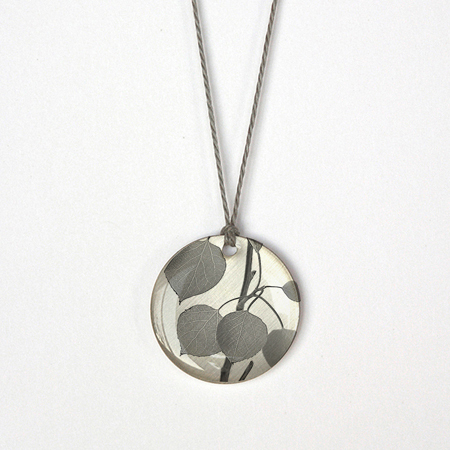 Offering hundreds of images and words, beautifully printed on solid sterling silver discs, finished with resin. We invented and perfected this process of bringing evocative imagery and meaningful words into our line of handmade jewelry. All handmade in our solar powered Santa Fe, NM studio. Happy to work with you on custom jewelry featuring your landmarks, text or graphics. Prices start at $12. 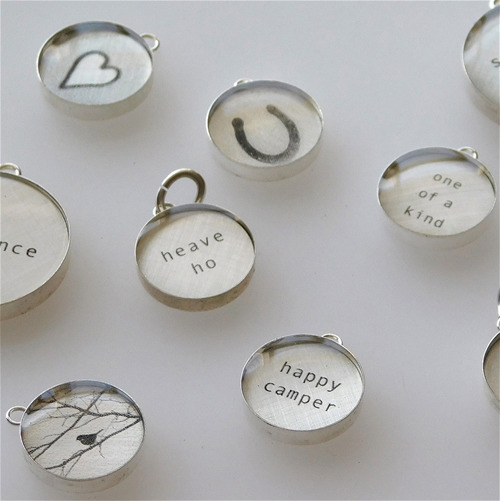 Offering hundreds of images and words, beautifully printed on solid sterling silver discs, finished with resin. 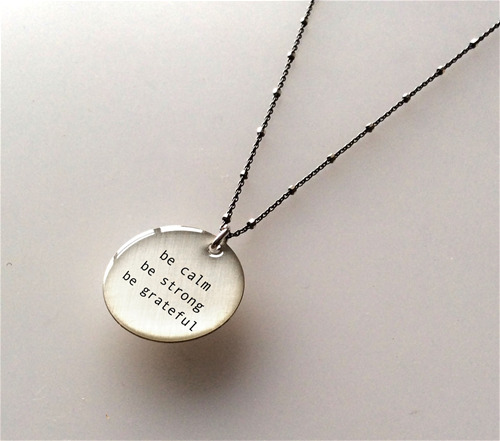 We invented and perfected this process of bringing evocative imagery and meaningful words into our line of handmade jewelry. All handmade in our solar powered Santa Fe, NM studio. Happy to work with you on custom jewelry featuring your landmarks, text or graphics. Now available in three sizes, with a variety of chain options. Prices start at $12.